Acclaimed composer Patrick Zimmerli’s Now and Then series juxtaposes music of our time with the groundbreaking works from previous eras that inspired it, illuminating the common ground between past and present and showcasing the ways in which the music of today has its roots in rich and ongoing traditions. The first concert in this series features chart-topping pianist Simone Dinnerstein playing works by Franz Schubert and Philip Glass. “An artist of strikingly original ideas and irrefutable integrity” (Washington Post), Dinnerstein teases out the commonalities between Schubert’s sentimental miniatures and Glass’s propulsive textures, finding a wellspring of shared inspiration behind both composers’ works. American pianist Simone Dinnerstein is known for her “majestic originality of vision” (the Independent) and her “lean, knowing and unpretentious elegance” (the New Yorker). 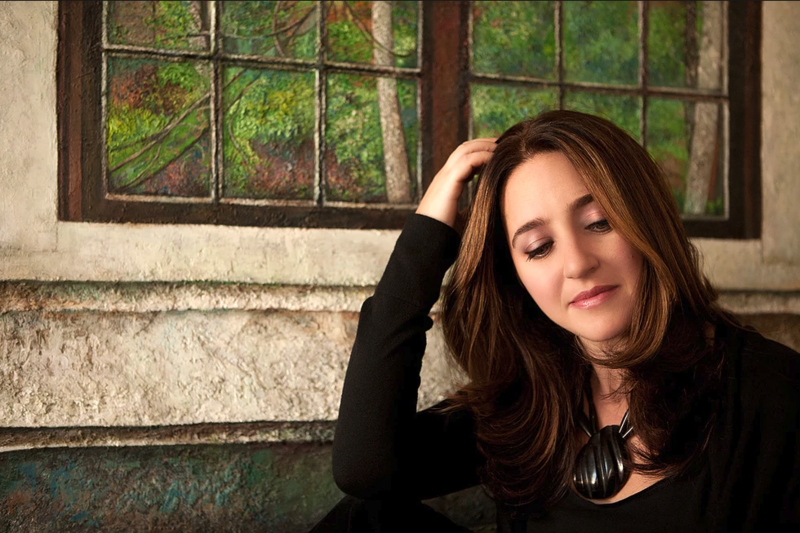 2018 was a banner year for Simone Dinnerstein, including a highly lauded recital at the Kennedy Center, her debut with the London Symphony Orchestra, a live recital for BBC’s Radio Three, and an ambitious season as the first artist-in-residence for Music Worcester, encompassing performances, school outreach, master classes, and lectures. Future highlights include a European tour with Kristjan Jarvi and the Baltic Sea Philharmonic and a residency in San Francisco with the New Century Chamber Orchestra including a collaboration with Daniel Hope and Lynn Harrell for the Beethoven Triple Concerto. Dinnerstein spent 2018 touring Piano Concerto No. 3, a piece that Philip Glass wrote for her as a co-commission by twelve orchestras. Circles, her world premiere recording of the piece with Grammy-nominated string orchestra A Far Cry, topped the Classical Billboard charts. Future performances will be held in France, Germany, Italy, and Canada. Dinnerstein released Mozart in Havana in 2017, recorded in Cuba with the Havana Lyceum Orchestra. She went on to bring the orchestra to the United States for their first-ever American tour, which was received with tremendous enthusiasm and was featured in specials for PBS and NPR. Also in 2017, she collaborated with choreographer Pam Tanowitz to create New Work for Goldberg Variations, which was on the year-end top ten lists of critics at the New York Times and the Boston Globe. This project continues to tour and will be given a run of performances at New York’s Joyce Theater in 2019. Dinnerstein first attracted attention in 2007 with her self-produced recording of Bach’s Goldberg Variations. It was a remarkable success, reaching No. 1 on the U.S. Billboard Classical Chart, and established Dinnerstein’s distinctive and original approach. The New York Times called her “a unique voice in the forest of Bach interpretation.” Her career has since taken her around the world from Brazil to Japan and she has made a further eight albums with repertoire from Beethoven to Ravel. Dinnerstein is committed to musical outreach. She plays concerts for the Piatigorsky Foundation, an organization dedicated to bringing classical music to non-traditional venues. Under their auspices she gave the first classical music performance in the Louisiana state prison system at the Avoyelles Correctional Center. She also runs her own concert series supporting music education in public schools and brings a digital keyboard into elementary school classrooms across the country through her Bachpacking initiative. A winner of the Astral Artists’ National Auditions, Dinnerstein is on the faculty of the Mannes School of Music and lives in Brooklyn with her husband, son and Old English Sheepdog, Daisy.